يقع فندق Emus Beach Resort، المصمم ليناسب كل الضيوف سواء كانوا من رجال الأعمال أو السياح، في مكان ممتاز في أحد أكثر المناطق تفضيلاً في إيمو بارك. يقع الفندق على بعد 1km من مركز المدينة، ويؤمن الوصول إلى أهم مراكز المدينة. يوفر الفندق بفضل موقعة الجيد وصولاً سهلاً إلى أهم معالم المدينة.
. يعمل Emus Beach Resort على ضمان إقامة مريحة لضيوفه من خلال خدماته الممتازة وحسن ضيافته. يمكن لضيوف الفندق الاستمتاع بالميزات التالية على أرض الفندق: مرافق مخصصة لذوي الاحتياجات الخاصة, تسجيل وصول/خروج سريع, تخزين الأمتعة, واي فاي في المناطق العامة, صف السيارات . لقد جهزت هذه الإقامة الفندقية بعناية فائقة لتوفر مستوى عالي من الراحة. في بعض الغرف يجد النزيل غرف لغير المدخنين, شرفة/ تراس, مروحة, تلفزيون, ثلاجة. إن حمام سباحة خارجي, حديقة هو المكان الأمثل في الفندق للاسترخاء وتفريغ طاقتك بعد نهار طويل. يحظى فندق Emus Beach Resort بموقع ممتاز وخدمات يصعب منافستها. 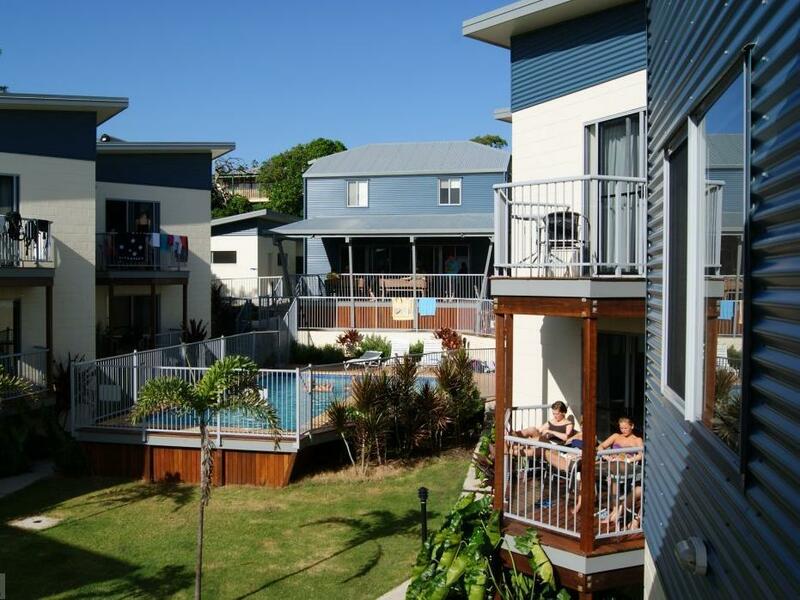 A great happy place... Five minutes walk to the beach,sparkling pool with a pub and BBQ area. Ten minute stroll to the village. Fresh spotlessly clean rooms with balconies. Friendly staff and management along with great value for money. Great stopover, quite with spacious rooms. When booking didn't realise it was a backpackers it was advertised as a resort with no backpackers suggested anywhere. Beds were comfortable. Only downfall sheets were thin & pilled which made them feel dirty. Otherwise a comfortable stopover, could of stayed longer if schedule allowed it. It's ultimately a backpackers, and all the connotations that go with it. Very basic accommodation, no air con, no screen on our window (so we got eaten alive by mosquitos) the fridge in our room didn't work at all. The beds are terrible (creaking and sagging when you lie down) and the linen was stained. We were handed a bunch of towels and a bar of soap on arrival (a la prison style) as apparently they hadn't gotten as far as putting them in the room when we arrived. Communal BBQ area was being used for an external function (someone's birthday?) and the noise from that continued for quite some time. Lounge/tv area a typical 'flop-house' with people draped over the couches watching animated films. For the price you pay, it's probably reasonable value. Drinks at the bar are cheap, you might need them! the resort was great for the time we stayed the only complaint I would have was that there was no air conditioning in the room and it was 41 degrees when we got there. We were on the way to Airlie beach from Brisbane so it was just for one night to stay. We didn't expect it woud be nice because of its cheap price but it was good. However, it is quite far from Rockhamton CBD so if somebody wants to stay here, should consider about it. 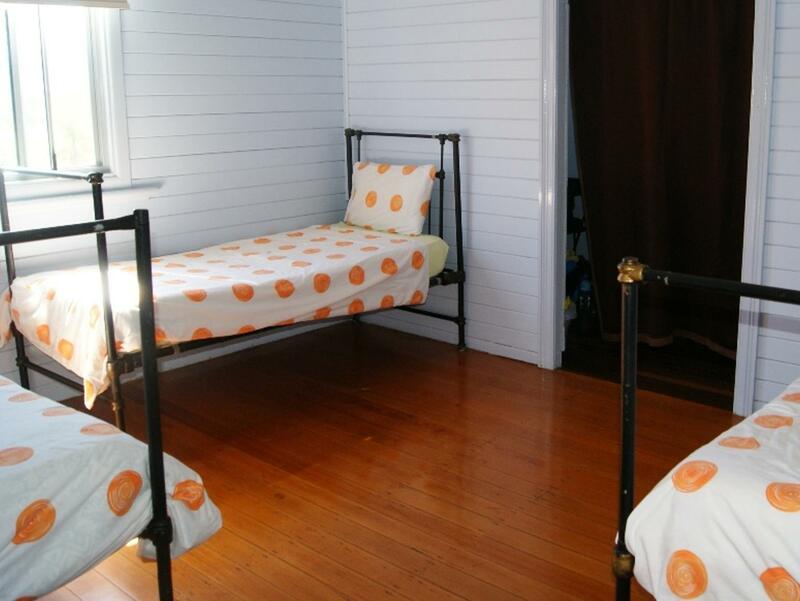 Very comfortable large room, new design and well laid out with nice bathroom. Did not realise it was so far from rockhampton CBD as we were only looking for a stop over night. 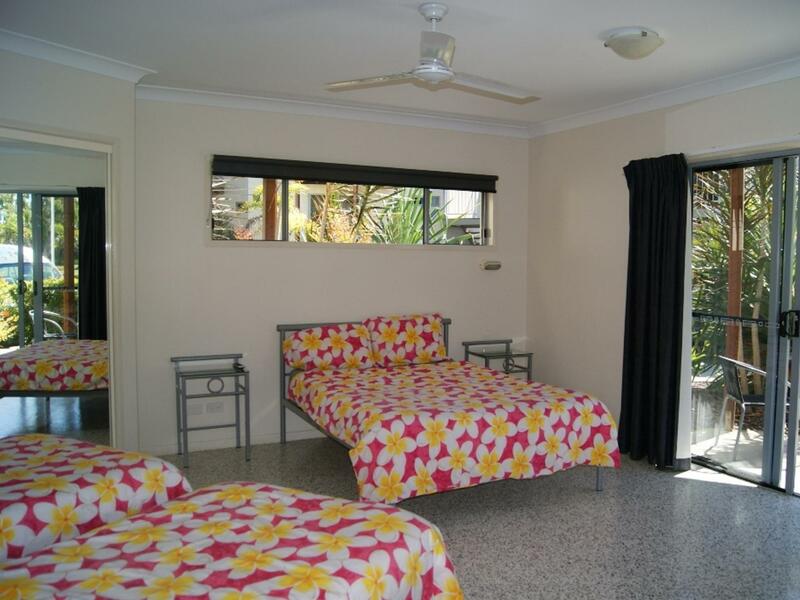 Overall very nice place to stay, but a bit far to drive to Rockhampton for commute. The lounge area is great. the rooms were clean and had an en-suite bathroom. there were 4 single beds in a room and it was a little strage as they were all only 1cm apart so it felt as if you were laying right next to a stranger. the facilities were good, however the weather was terrible and there was not a lot to do. also a big tour bus pulled up on the second night so there was loud music and drinking going on for quite some time into the evening. I booking one room with Aircandation but When I stay the room no Aircandation and the stafe Bad behavior he say because I ask him Some question . The resort is a 20 minute walk from everything and the road turns dark after 7.00 PM. There are no road lights, so you have to walk in the dark if you want to go out after 7 PM. The resort than turns into a kind of prison. The rooms are very spatious and the beds (no bunks) are really good!! The tv does not really work (only 3 channels)the bathroom is nice, but the toilet is in the bathroom which is not handy at all. The resort has no atmosphere. The bar is open for just a few hours. There is a nice tv room and pool. Internet is not free, you have to buy global cards (yeagh)The staff is very nice. We only stayed one night on the way south to Hervey Bay. The room was very clean and nice. We got q huge king size bed in the room. The hotel is great value for money.